North Georgia – County health departments in the North Georgia Health District were awarded the 2018 Car Seat Mini-Grant by the Georgia Department of Public Health, Injury Prevention Program. Through the Mini-Grant, Cherokee, Fannin, Gilmer, Murray, Pickens and Whitfield County Health Departments and local collaborative partners work together to provide car seats and education to financially eligible families. This program is funded by the Governor’s Office of Highway Safety to help ensure Georgia’s children are safe while riding in motor vehicles. And it works! Since 2007, the education, car seats and booster seats provided through the mini grant prevented serious injury or death and saved 344 of Georgia’s children who were involved in crashes. According to the National Highway Traffic Safety Administration, car seats reduce fatal injuries by 71 percent among infants and by 54 percent among children ages 1 to 4 years in passenger cars. Car seats offer the best protection for children in the event of a crash, and they are most effective when installed and used correctly. Nearly three out of every four car seats are not used properly, placing children at unnecessary risk. In Cherokee, Fannin, Gilmer, Murray, Pickens and Whitfield Counties, the health departments and their collaborative partners, including county EMAs, Georgia State Patrol representatives, local fire departments and law enforcement agencies, educate parents and caregivers on how to properly install and use car seats, offer car seat inspections and provide car seats and booster seats to financially eligible families. For more information about the car seat program at health departments in North Georgia, log onto www.nghd.org and click on the LOCATIONS tab to find contact information for each county health department in the North Georgia Health District. If you would like information regarding other Georgia counties involved in the program, please contact the Georgia Department of Public Health’s Child Occupant Safety Project via email at injury@dph.ga.gov or by calling 404-463-1487. North GA – The North Georgia Health District in Dalton, GA and all county public health departments and services that were not previously closed in Cherokee, Fannin, Gilmer, Murray, Pickens and Whitfield Counties will be closed from noon today, Monday, September 11 through the morning of Wednesday, September 13.This closing applies to all public health services and programs in these counties, including Environmental Health, WIC and Child Health Services. For any further updates regarding closings in the district, please log onto the North Georgia Health District website at www.nghd.org or look for the health district on Facebook, Instagram or Twitter. 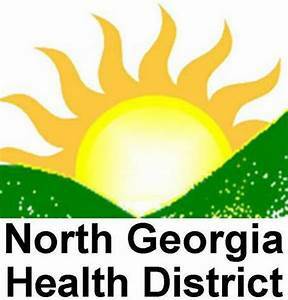 NORTH GEORGIA – Free Hepatitis C Testing is provided at county health departments in North Georgia! As part of a statewide Hepatitis C prevalence initiative in Georgia, the North Georgia Health District is conducting the Hepatitis C Prevalence Project (HCPP), which is providing data on occurrences of Hepatitis C in the health district via free testing to those who are at higher risk of being infected with the virus. This is a two-step process that identifies and supports individuals who are living with the Hepatitis C virus (HCV). 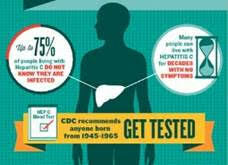 Hepatitis C is a contagious and sometimes persistent infection that can lead to lifelong liver disease. The Hepatitis C virus is mainly transmitted via contact with blood of an infected person. Most people are unaware they are infected because they don’t look or feel sick. But the virus can be detected through blood tests. Therefore, the first step in the district’s HCPP process is to identify HCV infected residents through free rapid Hepatitis C virus testing at health departments in Cherokee, Fannin, Gilmer, Murray, Pickens and Whitfield Counties. These tests can produce a preliminary result in 20 minutes by using a finger stick test. For clients who test positive in the first step, the second step is to confirm the results by drawing a blood sample that will be sent to the Georgia Public Health Laboratory for further testing. Once a positive test result has been confirmed, each health department assists clients in linking to services in their area. Those that qualify can enroll in the Mono Infected Hepatitis C Treatment program at the Whitfield County Health Department. All clients are also counseled on the importance of healthy habits (avoiding alcohol and drugs, including many over-the-counter drugs), ways to reduce spread of the virus, getting contacts tested, and getting assistance to reduce the risky behaviors that exposed them to Hepatitis C in the first place. And, though there currently is no vaccine for Hepatitis C, clients are counseled on getting vaccinated against Hepatitis A and B. Testing is offered Mondays through Thursdays at all county health departments in the North Georgia Health District. Test days will be affected by health department closings for events such as holidays and hazardous weather. To help meet Hepatitis C Prevalence Project objectives and to ensure that a robust demographic and epidemiological picture can be developed of the true prevalence of Hepatitis C in our district, data will be collected on all tests provided through the HCPP, for both positive and negative results. Local county health departments can provide more information about Hepatitis C and its prevention, symptoms and treatment, or log onto the Georgia Department of Public Health website athttp://dph.georgia.gov/hepatitis-c.